This is the beginning of every book. Even if you have a travel blog, keep a real book. Since the beginning of travel journalism, travellers wrote their adventures by their own hand. Only a book where you can turn handwritten pages can create this certain feeling that motivates to read. Spend some time to find a book with a nice, preferably colorful binding. The first page should include your name, the year of travel and the places you refer to in the journal. Be creative and personalize your first page. Add some sketches and little drawings. And when I say always, I mean ALWAYS. The best is to carry it in your daily bag together with all your stuff that you need every day. It is important to have your journal at hand when a thought comes up while you’re on the way. Post cards, plane/bus/train tickets, entrance cards, stickers, brochures, maps, flyers, newspaper/magazine cutouts, drawings, photos… Collect them all! It’s more memorable if you see the entrance card of the castle or park you visited than to read the text referring to it. As humans are visual creatures, a picture can tell more than words can ever do. Color up your journal by using bright colors and pens for titles, keywords, remarks and quotes. The more colorful the better. Draw and sketch. Even if you’re not good at it. Everybody can doodle a sun, flowers, hearts or stick-men. Also, always have some tape with you to glue to the scraps into your book. As you always have your journal with you, take a rest while you’re exploring the environment around you. This is certainly one of the most important rules when it comes to writing a travel journal. Only write at home or in the hostel if you were really not able to finish the entry on the way. In order to record each entry individually, always make sure to give it a date. It’s easier to match the entries to the seasons they took place. Then you don’t have to mention if it’s summer or winter or something in between. Additionally, give every entry a specific title. Choose a short sentence that describes the day you write about, for instance ‘Exploring Berlin in autumn’. By writing down what you did without referring to the feelings that came up while doing it, it is like walking in a new place without seeing what is around you. Therefore, don’t be a blind writer and express your feelings in each sentence. How did the flowers smell? How did the wine taste? What was the sound of the music like? A good writing technique is to use your senses to describe a situation or feeling. When you reread what you saw/heard/smelled/tasted/felt while you traveled, the memory becomes alive. Sometimes a few sentences about a certain feeling can weigh more than 10 pages of describing itineraries. When we see or experience something, it is the feeling we had which we will keep remembering. Written words without provoking a special feeling will be easily forgotten. A very detailed depiction of a feeling, however, is a lifetime memory. On the one hand we travel to see fascinating places, on the other hand, to meet the people inhabiting those places. Special encounters are what a traveler is all behind because a good conversation will never be forgotten. Remember the names of the people you met. Sometimes it’s not enough to remember a certain person by just rereading its name in your journal. Therefore, include some features that characterize the person best, e.g. remarkable details like ‘the guy with the long beard, funny hat, fancy hairstyle’… whatever reminds you of the person you met. Don’t rewrite funny dialogues or remarkable statements from conversations you had. Rather put them literally between quotation marks. You’ll feel reminded better of a person who said something meaningful and taught you a lesson. If you did some research about itineraries, things to do, transport, accommodation, events or special things to consider note them down in your journal. For this purpose, create a separate page where you add all the information not dealing specifically with the journal entry itself. Collect them all: names of cities, villages, lakes, streets, squares, fountains, viewpoints, buildings, stores, restaurants and hostels. Imagine some time passed since you traveled and you want to look up a special place mentioned in your journal because you would like to go there again. It will be difficult to find this place again if you haven’t written down the full name. Would you read a boring book? Think about that while you recap the day in your travel journal. Keep in mind that you’re gonna reread some passages one day. It would be disappointing if you can’t catch the special atmosphere you felt when you wrote the entry. By writing with a passionate attitude, also keep up the enthusiasm that you had while traveling a particular place. Avoid writing when you’re in a bad mood or feel bored about writing. Only write if you really enjoy it because this assures that you keep up the enthusiasm in your writing. Write everywhere except at home. Keep the following in mind: don’t solely write if you take a rest, but write when you move. Stop once in a while on your way and write down all the thoughts that came to your mind. Write in the mountains, at the beach, in the park, at the train station. Write in the morning, in the afternoon or at 2 AM in the morning. Write wherever you might be at different times of the day. There is no compulsion to write day by day. The most important thing is to write whenever a thought pops up in your mind. It doesn’t matter if you don’t keep up a chronological order. I am writing this while I sit on a rock nearby the rough ocean. Some water drops are touching my bare feet. In this sentence you get what I mean with writing down what you actually see or feel in the moment you write. When you reread this, it brings up the association you had while you wrote this entry. I dream of being free from my past. I hope I have the courage to quit the job I hate. 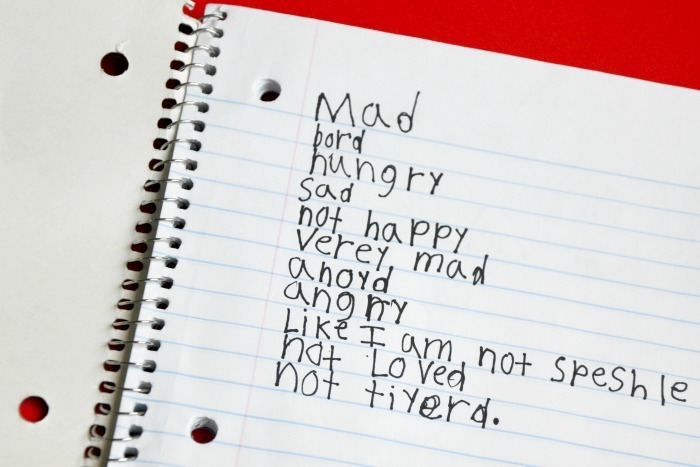 This shows an example of how to write about what touches your most inner emotions. A travel journal doesn’t have to be only about your travel experiences but can also include personal dreams, wishes and hopes for your own life. I am afraid of returning home because only when I travel I feel happy. This is the opposite example of writing about the negative sides of your life. As mentioned before, your travel journal is your own personal book where you can fully let your mind wander. This is the overall message: your travel journal is your person of trust. Don’t miss out writing about everything that is buzzing in your head. Every change that you recognized about yourself. Record your inner progress and how you achieved it. What does life mean to me? What does happiness mean to me? Do I believe in destiny? There are certain topics, call them philosophical questions, that should be discussed in a dialogue with your own self. Instead of talking to yourself, write down your thoughts. Why do I have this urge to travel? Why can’t I stand still and have to move on permanently? As your travel journal deals with everything that inspires you about traveling, collect quotes, stories and personal thoughts that remind you of wanderlust. We travel because we have a love affair with the road. If that’s it, why do we almost never write about the road, your lover? Writing about the road while we’re on the road can involve a lot of different aspects. There are good and bad sides. When the road becomes a true inspiration but also when it turns into a hardship. Walking on the road is both: hope and faith but also exhaustion and melancholy. How was life before I traveled? What was my main trigger to leave everything behind and embark on a far journey? Your travel journal doesn’t have to start at point zero. When you made your first step. The entries can be mixed up wildly without following a certain timeline. Some people call it journal, others call it diary. It doesn’t matter how you call it. The only thing that matters is that you don’t objectify the book of your life. This is your very personal record of all your feelings, hopes, dreams and fears. Share all your inner motions with your book. How did the kiss with the stranger feel? How did his lips taste? Share very affectionate moments with your travel journal because also for this purpose it is meant for. Never let there be a barrier between your intimate thoughts and the confidence to write them down. When you reach the last page of your travel journal, you’ll feel an incredible satisfaction. It feels exactly the same as if you would have written a book. Be proud of your perseverance and creative mind. Take care to store all your journals in a place where you won’t lose them. Especially when you move away, take them with you. One day there will come the moment when you take one of your travel journals into your hands. The moment of proof. This can be in 10, 20 or 30 years. While you go through your entries, the memories of happy times revive in your thoughts. If you followed all my tips how to create a unique travel journal, there is a big chance to never forget any moment of your travel adventures.